← Sunset Cruise Key West Style! 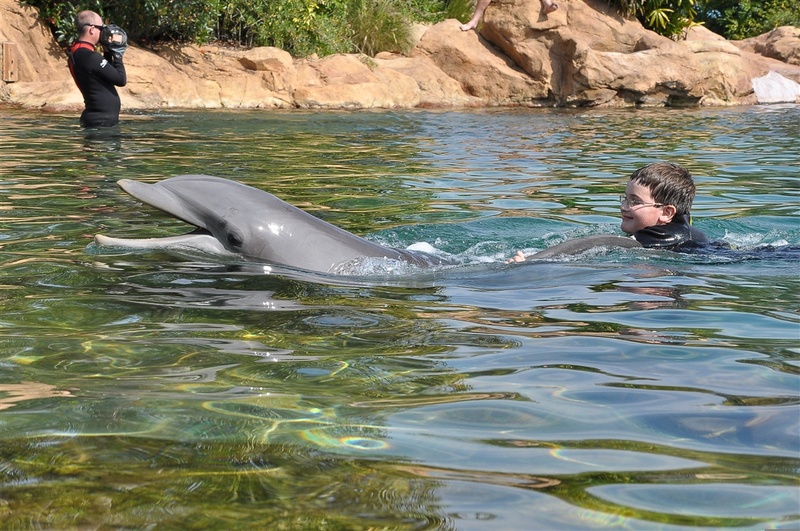 For years I have wanted to swim with dolphins. I have wanted to snorkel and experience the wonder of the ocean. My grandson Christopher and I used to lie in bed at night and talk about what it would be like to swim with dolphins. So this past Christmas I bought Chris and myself tickets to Discovery Cove in Orlando. Seven people from our family were going to Disney and I wanted to do something extra special for just the two of us. We went the first week in February because I really don’t like crowds. I highly recommend this time of year. We had no lines at Disney and Discovery Cove wasn’t crowded either. It was $194.00 per person and that sounded a bit steep to me but I did it anyway. As it got closer to the time I came up with so many reasons that this might not be a good idea. First, I didn’t know if they would have a wetsuit to fit me. Second, I kept thinking about things like…………what I would do with my purse? I can hardly see without my glasses so how would we be able to get into the water and participate in the dolphin swim if I couldn’t see? How would we manage the restroom/ dressing rooms if I couldn’t go in with him? To make a long story short – I finally talked my husband into coming with us. He didn’t want to come because he had been an elephant trainer and sea lion trainer for 20 years and the idea of spending nearly $200.00 to swim with dolphins wasn’t a bargain for him at all. This is all leading up to my telling you this was the most fantastic day! We arrived and walked into a large processing room that looks like a lobby of a very nice hotel with desks all around. We were checked in and given badges on lanyards with codes and times for dolphin swim on them along with a plastic map of the grounds. We were pointed in the direction of a bridge and were met by more people giving directions. We had our complimentary photo of the day taken and headed for the building with the prescription snorkel masks. My daughter and I had just been to the Florida Keys two months prior to this and went snorkeling and I didn’t have any fun at all because I couldn’t see the fish. I was told that I could rent a mask for $75.00 for the day but I didn’t do it on that trip. At Discovery Cove the masks are part of the original fee! No up-charge to SEE the fish at the reef. So my husband, grandson and I all got our complimentary prescription snorkel masks and headed off to breakfast. I had read that breakfast and lunch were included. Well I have been to enough seminars with the same claim to know I shouldn’t be too excited about the food. Probably dry croissant breakfast rolls and some bagels. Imagine my surprise when we get to an actual restaurant with many choices of great food! Eggs and bacon, yogurt, fresh fruit and waffles were just some of the goodies being served. From breakfast we were guided to the wetsuit area where people who have obviously done this A LOT magically gave us all suits that fit. My husband and I ultimately decided to just use the jackets. This is fine with the Discovery Cove staff. We were given locker keys and sent to the lockers and dressing rooms. I can’t imagine the size of the laundry facility they must have! To say there is a WALL full of clean, folded towels that never empties is not an exaggeration. Someone has the job of filling this wall all day long as people switch from activity to activity and dry off and get new towels. Our dolphin swim wasn’t until noon so we decided to go to the reef area and the sting Ray Shallow. OMG! That was so awesome! Amazing! Amazing! Amazing! 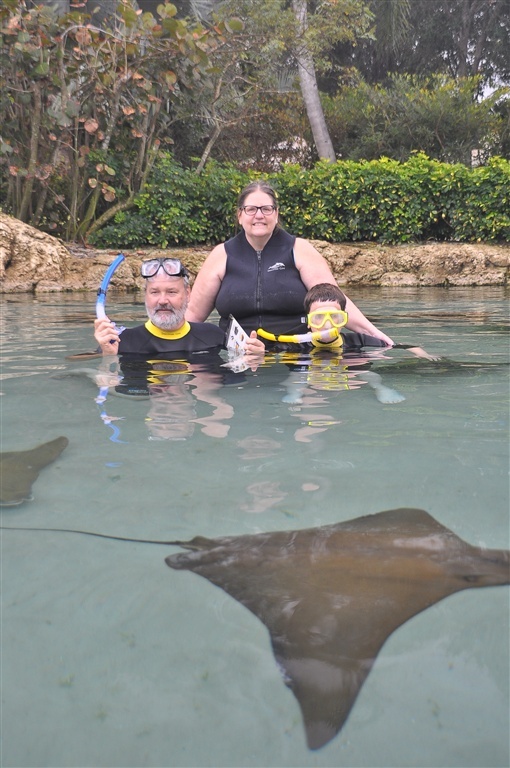 How often do you get to feed sting rays while standing IN the pool with them? We had fed the rays at the zoo but that was NOTHING like this! We were actually surrounded by about a hundred rays! Beautiful, big, fabulous, rays! There were photographers in the water with us and they were taking pictures of us with the rays along with the badge we were given so they could match them up later if we wanted to purchase any of those photos. After the ray swim we thought we would try the Reef out for a bit until we could go to the dolphins. 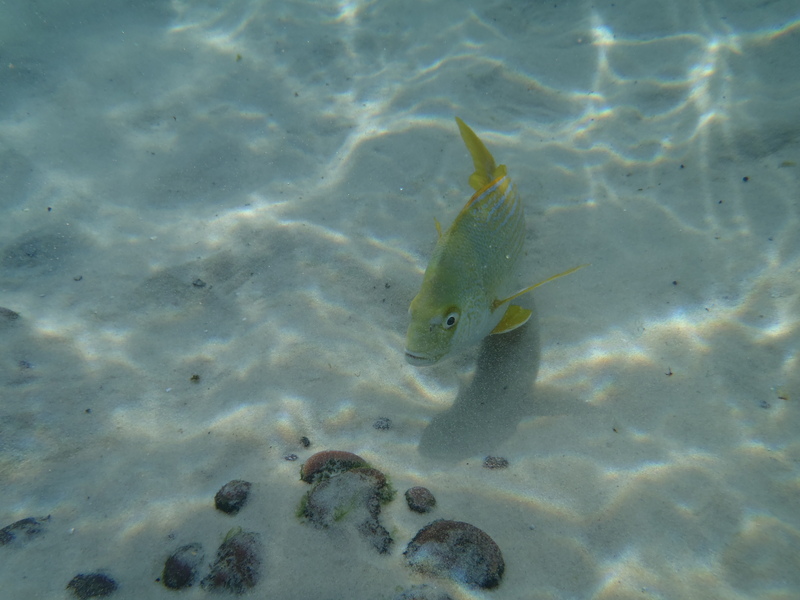 I have to tell you that after about a minute of getting used to snorkeling I could have stayed there all day. Leaving for the dolphins was a bit of a drag when I had 12 foot wide rays and brightly colored fish swimming around me! At one point I thought Christopher was drowning! I heard loud noises coming through his mask and he was thrashing about trying to get my attention. I raised my head and asked him if he was alright and he shouted loudly “Grandma! I just saw Dory“ Dory from the movie Finding Nemo. Then came the dolphin swim! We were given a brief introduction to the experience in the Sand Dollar Hut then taken in groups of 6 to the water to meet our Dolphins. Ours was Dash, Dot’s mother. Dot was the Dolphin across the pool from us. This fact interested Christopher a lot. He usually tells the story saying our dolphin was Dash, Dot’s mother. Anyway, when we entered the water there was also a photographer and a videographer in the water with us with perfect views of everything we were doing. My husband was allowed to video and photograph from atop a rock nearby. We got to know Dash and pet her from many different angles. We got to do the training signals to make her sing, leap and wave to us. It was So much fun! Then came the reason we were there. We were each told to go out in deep water and wait for Dash. She swam out there and we were told to hold her dorsal fin and her side flipper and when we did Dash took off! She pulled us across the pool to the shallow end! For picture purposes we were told to give Dash a kiss on the nose, which we promptly did. All too soon ( thirty glorious minutes) our time in the Dolphin pool was over. So we reluctantly got out; dried off with more clean, folded towels; and headed over to lunch. Lunch was a wonderful thing! I had grilled salmon, fresh veggies and fruit. Robert had a shrimp salad and fruit and Christopher ate his usual chicken nuggets and fries. To let our lunch settle a bit, we decided to walk over to the Aviary. This is a multi-room facility that the Wind-away River runs through. You can enter through the Wind-away River or you can go in the entrance by the Stingray Shallow. As you enter the Aviary there is a staff person there to tell you what is going on and give you a cup of food to carry to entice the birds. The birds just fly right down to your arm or you can sit the cup down and they will come for it. If you have any dream of photographing exotic birds but don’t have the budget to go to their location this is the place for you! If you want pictures of your children holding exotic birds, this is the place for you! As you walk through these exotic rooms filled with birds colored like jewels flitting around, you can’t help but be impressed. I have been to zoos all over the country and I have never seen so many different imprinted birds in one place! 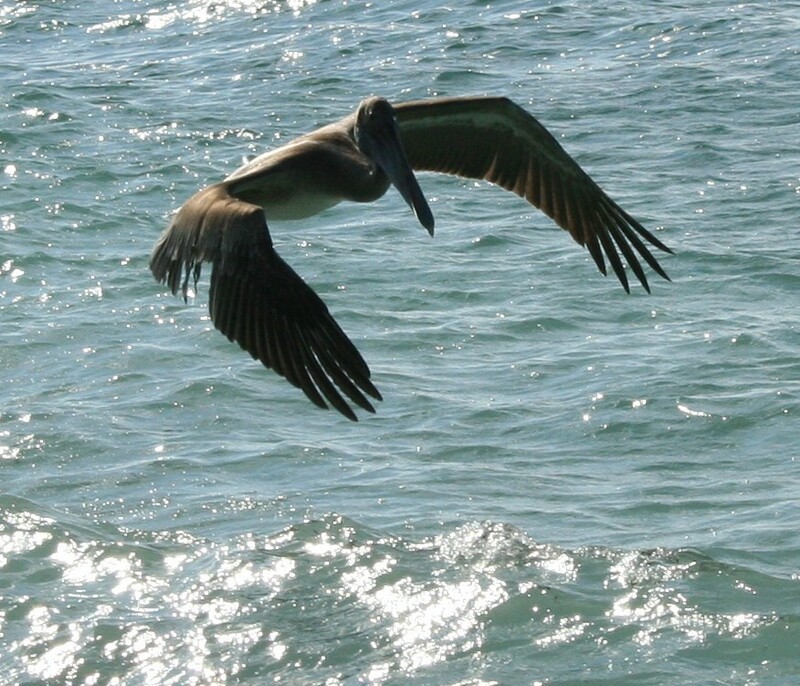 These birds fly to you instead of away from you and they are all beautiful, tame and ready for food. This was a very pleasant surprise within a park I thought was mostly about dolphins. After some quality time inside the aviaries we decided to try out the Wind-away River. 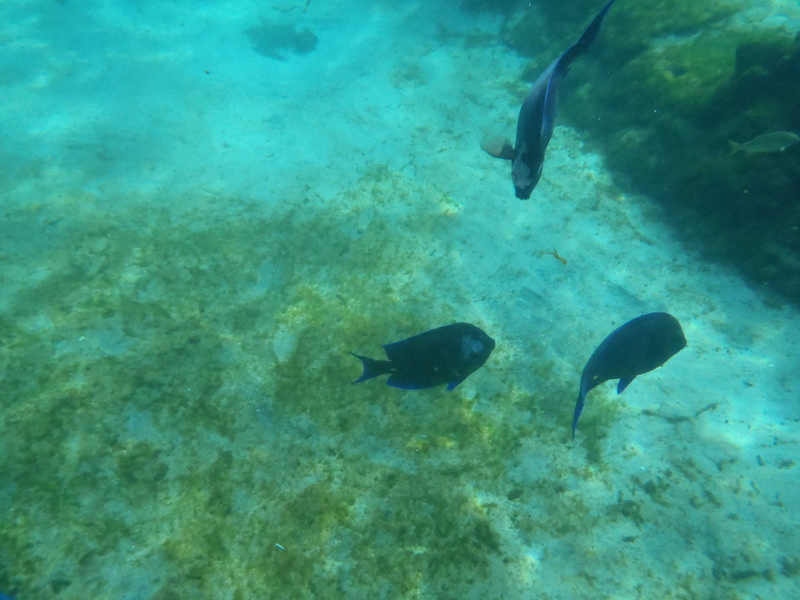 This is a heated, fresh water river that winds around the outside of the Reef and Stingray Shallow and inside and through the Aviaries. There are waterfalls you must swim through that are actually barriers to keep the birds inside of the aviaries. You really should be wearing swim shoes at this point. I did not bring any so my feet did get a little beat up here. This is just a friendly word to the wise………not a complaint at all! Discovery Cove has a little store where you can buy useful things like shoes and t-shirts at reasonable prices. I didn’t buy shoes because I already had a pair at home and really didn’t need another one. By this time it was about three in the afternoon. In January the park closes at five. So we went over to the Reef for the rest of the afternoon. 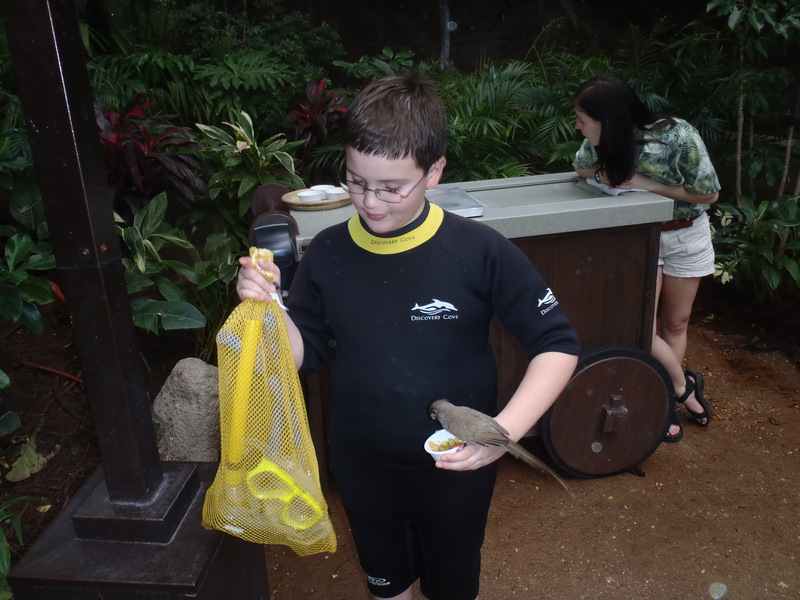 I am thinking this is a great time to mention to you that there are FREE snack bars at Discovery Cove! Yes, free beer, pop and water plus yummy snacks. Good hot pretzels, chips, fruit all included in your original price! We spent the last two hours in and out of the Reef and the Stingray Shallow. This was the most enjoyable day I have ever spent with my husband and grandson! We had so much fun. We were so busy and everyone at Discovery Cove was so helpful and really went out of their way to make our day enjoyable. Earlier I mentioned that there were photographers and videographers in the water with us at the Dolphin Experience. This is not a mandatory purchase but one that I completely “bought” into! 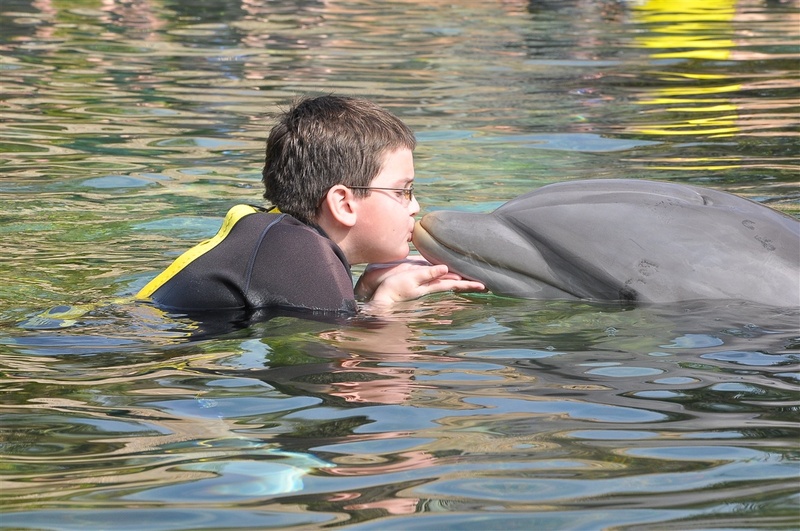 There was no way I was walking out of there without a pictures showing my grandson kissing a dolphin! I wanted EVERYONE to know that I had gotten to ride a dolphin across the pool so, by that night, I NEEDED those pictures to put up on Facebook! I purchased the most wonderful memory package for about $80.00 extra per person. I also used my own waterproof camera the whole time we were there except in the dolphin pool. I don’t believe I have ever recommended any trip more highly than this one. This was a perfect day. 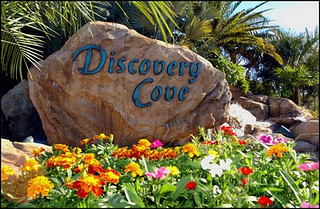 Discovery Cove is fabulous for a day of family fun! This whole story brings me to TODAY. I just returned from Key West and Chris and I were talking today about this upcoming Christmas. I told him about my recent trip to Florida and we have decided to go there together really soon. 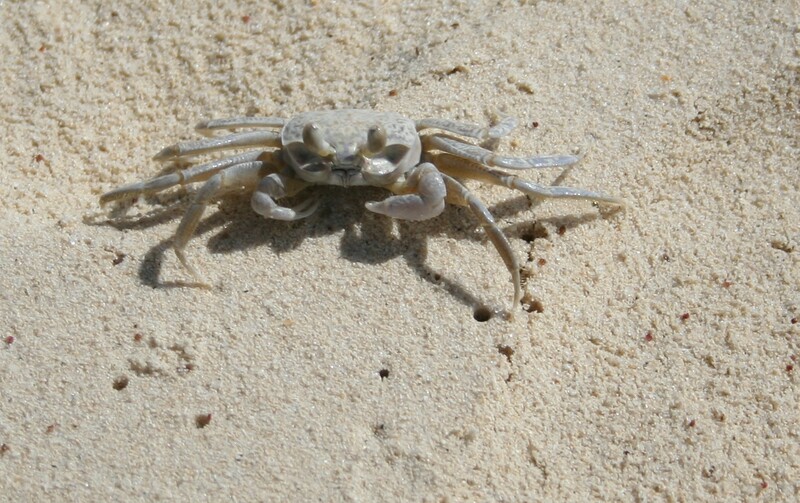 This time he and I will go to The Eco Discovery Center to see and learn about the ocean around us. This place is FREE and fabulous. A bit like the Shedd Aquarium in Chicago. Not as big but FREE and very nice and new and clean and it has fabulous displays! 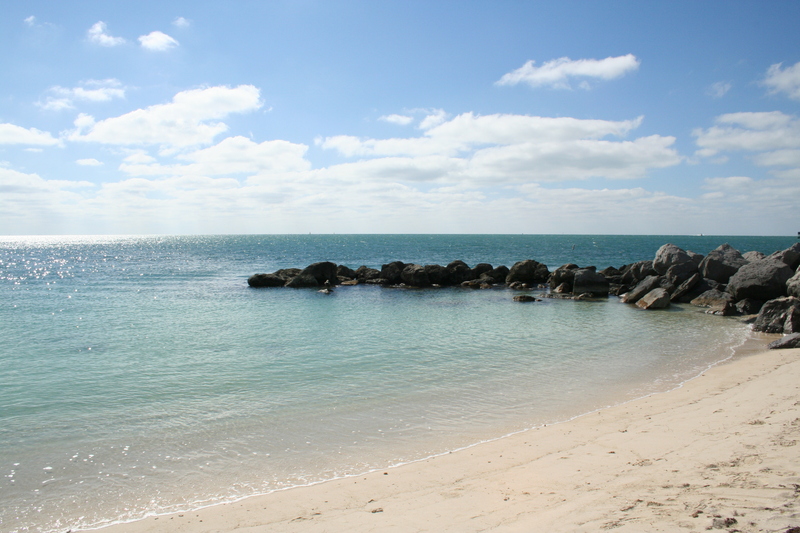 Then we will go to Fort Zachary Taylor Beach and snorkle for a while in the actual ocean to get ready to go out on a REAL snorkeling trip! From there we will go on an open water snorkeling trip with the folks at Fury Charters . My daughter and I just went on a Fury Charter and it was so amazing! We saw REAL dolphins jumping in the wild. We snorkeled in the ocean above a garden and then we went on a kayak trip in the mangroves before returning to the boat for a sunset beer! So Chris and I are ready for the REAL thing now…………and I think both are nature……..just two different ways to experience it. This entry was posted in Childhood, Children in Nature, National Parks, Nature Play, Play in Nature, play outdoors, Preschool, Preschoolers, Uncategorized and tagged children, children and nature, Children and Youth, Discovery Cove, Dolphin, Ecotourism, florida keys, gardening, key west, kids n nature, Louv, nature, nature play, Play in nature, Play outdoors, Play outside, playoutdoors, preschool, Richard Louv, snorkel, Swimming with dolphins, things to do with kids, travel to the keys, travel with children, travel with kids. Bookmark the permalink. 1 Response to Play in Nature……….Which is Real? Awesome post!!!! Hats off to you! Last summer, I went to visit my adult son and his wife in Chicago…and he took me skydiving.